We believe that no survival kit, kitchen cupboard or DIY chest should be without one of these, the Pocket Wick is perfect for any task that requires a flame for more than just a few seconds. How many times have you tried to light a camp fire using matches and ended up with burnt fingers, or what can be even more difficult at times, getting a pilot light lit on your boiler or gas water heater. The Pocket Wick is a natural and sustainable product with industrial grade hemp, grown by farmers in Europe and this is coated in exclusively European-sourced beeswax. It is, of course, a known fact that honey bees are in danger and many hives are suffering from Colony Collapse Disorder, for this reason the manufacturers of the Pocket Wick will donate a percentage of their profits to support honey bee charities. 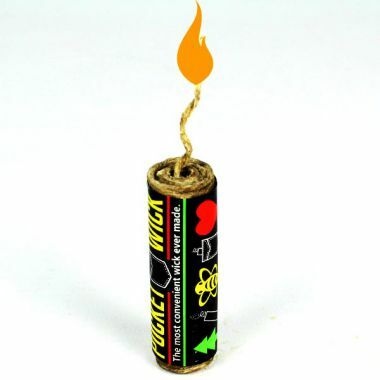 Being coated with natural beeswax, the Pocket Wick is waterproof and will burn for up to two hours if required, all that is need is to pull out from the twenty feet of wick provided, the amount that you need and you can then easily light this with an external flame. Pocket Wick the perfect choice for wherever you need a flame. This classic Indian fragrance has to be one of the most recognisable and popular fragrances; this is used in incense, soap, perfume oil, essential oils, candles and personal toiletries. This classic incense became very popular through the “Hippie” period in the 1960’s and it was through them that it became introduced into the West, to make it become the best selling incense in the world. So whether you want to use the oil, for meditation, adding some to the bath water, by adding a few drops to the molten wax on the top of a burning candle, or simply used in an oil burner, you can guarantee that you home will smell delightful. The most popular way is to use it to diffuse the aroma by filling the bowl with water, adding a few drops of oil, place lit tea light underneath and relax and just enjoy the aroma. 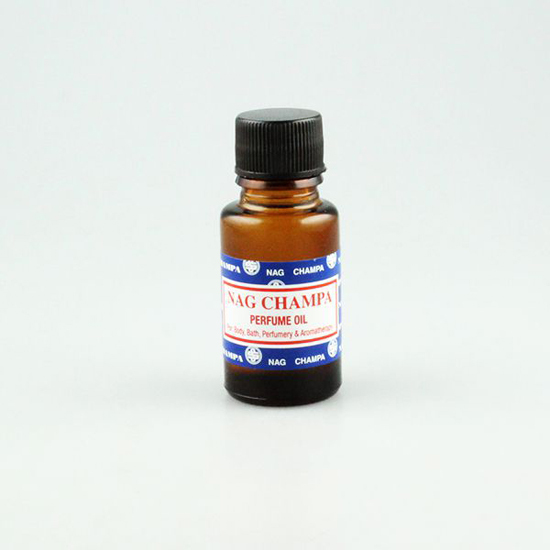 The Nag Champa Perfume oil offered by us is very economical and at the low price of just £4.99 for 47g; it only a small amount needed to transform your home to smell like a Hindu Temple for many months! Whilst you are at the web page why not consider some Nag champ Incense sticks, when like Bob Dylan, you can burn the incense which releases a mellow, yet strong smoke that lasts for hours, gently drifting through your rooms. We know that Public Health England have declared that vaping is safer than smoking cigarettes, the reason behind this is that this is due to lightly heating the herbs to produce a smoother and healthier hit. 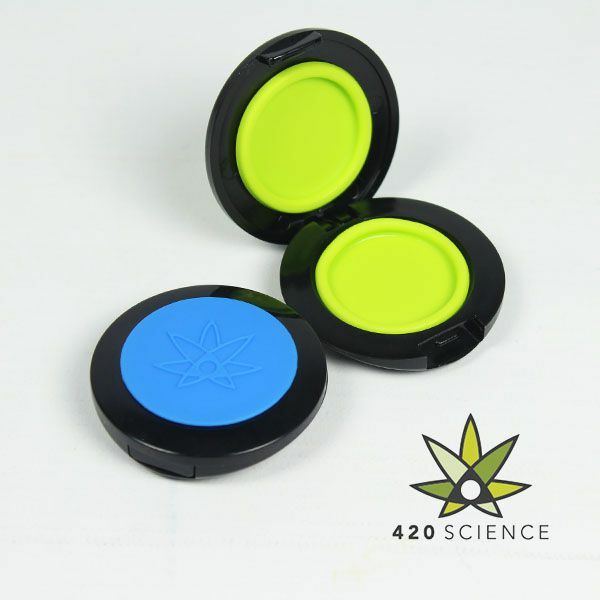 It has also been established that it’s a great alternative to regular smoking, and by vaping you can be avoiding the inhalation of the toxic and carcinogenic by-products associated with regular smoking. We display a number of vaporizers; one tool which has had a huge impact is the Diamond Mist KRO Coil Making Jig, this device is part of the established Diamond Mist’s ‘Build Your Own’ Range, this is for those who want something that is unique to them as they like to experiment in building their own RDA coils. 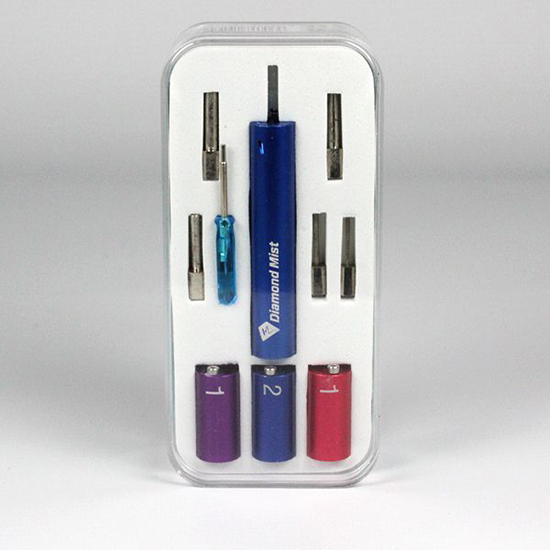 The Diamond Mist kit contains all the tools that are needed for the users to wrap their own RDA coils from 1mm to 3.5mm using the supplied attachments. If you have never done it before, don’t worry there is included a full set of instructions that are intended to guide you through the coil building process, giving you tips on how to create different types of coils with different ohm readings. This system will make RDA coils so easy you will wish that these had been around a lot sooner. Make coils from 1mm to 3.5mm using the various attachments, it couldn’t be easier and the kit contains a Coil Making Jig, Allen Micro-key, 1,0mm, 1.5mm, 2.0mm, 2,5mm, 3.0mm, and 3.5mm Winding Rods. This Prolight torch is really three items in one, the all-important lighter of course but in addition it has its own cigarette holder, as well as a cigar punch. But the lighter is the main feature and it is rather special as it has three flames, this makes it perfect for lighting your shisha charcoal. Now as we all know the charcoal is an absolute essential part of the shisha experience, one the few things truly setting this pipe apart from virtually every other kind of pipe out there. This is the source of heat which causes the tobacco to produce smoke. However they can be hard to light, but this is made easy with Prolight and it will also light your charcoal barbecue! Of course sensible precautions are necessary and you should always ignite the torch away from clothing and ensue that the flame is completely extinguished after each use. Whilst this is a child resistant lighter no lighter can be completely childproof, so keep away from children. Excellent value for this three in one product at £22.99, we offer the Prolight in soft touch black or space chrome. Even the most ardent smokers amongst us would agree that walking into a room which has been used for smoking leaves an odour in the air as well as on fabrics and furnishings. However there is a means of keeping your home smelling fresh and with a heavenly scent that will ensure that even the strongest of smell does not taint the atmosphere. One great way of neutralising the after effects of smoke in your home is by using one of the many Headshop candles available. The great thing about our candles is the unobtrusive style that will never give away its purpose; candles are warm, attractive and very inviting in any home. 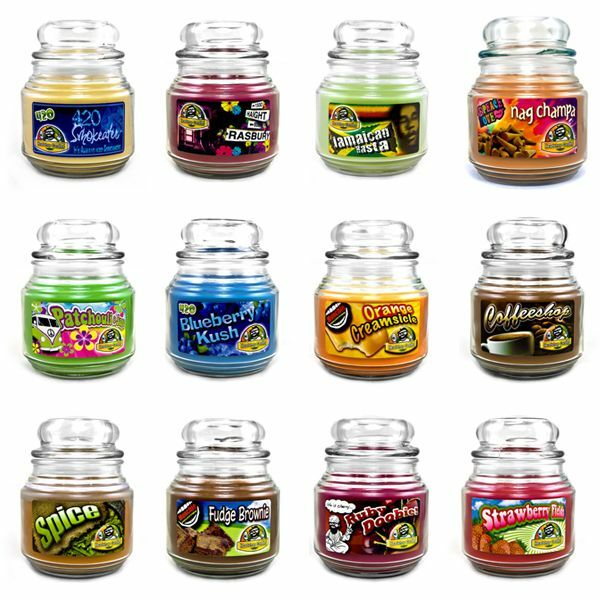 We have a wonderful range of these candles available, the full list of sixteen is shown at our web page, but they include Chocolate Chip Cookie, Cinnamon Tea, Jamaican Rasta and Spice to name but four of them. Every one of the delightful scents uses a candle which is a double wick system that ensures they burn evenly and produce a powerful fragrance. Headshop candles have been designed to eliminate unwanted smells and replace them with the beautiful scent of your chosen flavour; check out our web pages and choose the fragrances that you will enjoy. The Imperial Tobacco group announced today that its revenue fell by 5%, with operating profit down 17% for the six months to March 31st. The firm said that the slump in figures was due to a planned inventory reduction in some markets, but reiterated that it still stood by its full-year profit target. For the six months to March 31st, revenue fell to £12.7 billion (5%), with operating profit falling 17% to £999 million. Over the last six months, Imperial Tobacco has been operating a planned inventory reduction, working with wholesalers and distributors in some markets to reduce the inventory they have to hand. The firm said that the planed inventory reduction meant that it takes less time for cigarettes to get from the factory to the consumer, and that the impact was in line with predictions. Imperial Tobacco also stated that currency fluctuations had added to its fall in net revenue, but the company stood by its full-year target of ‘modest’ growth. 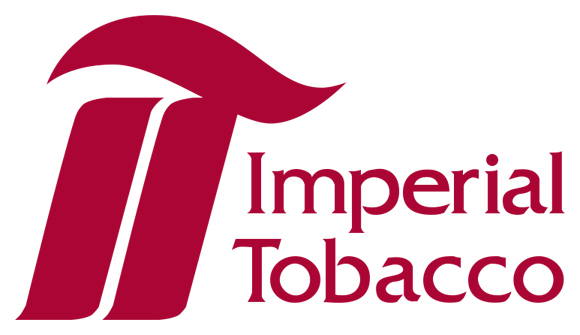 Imperial Tobacco is currently the fourth biggest tobacco company by market share and produces such brands as Embassy, John Player & Sons, and Lambert & Butler. It recently announced that it was closing some cigarette factories in France and England in a cost cutting plan expected to save £60 million a year. Nag Champa Incense – try some today! Nag Champa, probably the world’s best-selling incense is perfect for meditation and provides an elevated mood that’s great for parties. Originating in India and Nepal, Nag Champ is usually burned for spiritual purposes, but many people burn it for the pleasant aroma. Nag Champa has been used by many musicians over the years including Bob Dylan and The Grateful Dead, who burn the popular incense at their gigs. Nag Champa is available in 15 gram, 40 gram and 100 gram packs and prices start from just £1.49, so why not try some for yourself. Please note: Nag Champa cannot be shipped to the following locations; Norway, Ireland, Poland or the United States. Liquid Gold is a room odoriser specially designed to help you relax and unwind after a hard day at work and can create a relaxing environment for you and your loved ones. To use Liquid Gold simply unscrew the cap and let the aroma develop in the room; it is not suitable for human consumption either by inhalation or ingestion. 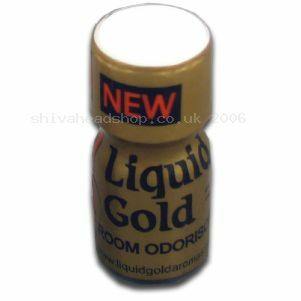 Liquid Gold comes in a 10mm bottle and is available now for £4.99 each or 3 for £10; this product can only be sold to over 18’s. This product is flammable and is harmful if swallowed, it can also irritate eyes. If swallowed induce vomiting and call a doctor. Ireland, Australia, Norway, Poland or the United States. Nag Champa is one of the world’s most popular incenses and has gained in popularity since the 1060’s. Originally made by the inhabitants of Hindu and Buddhist monasteries in India and Nepal, Nag Champa became popular in the west as people searched for spiritual enlightenment, usually members of the hippie movement, but its popularity soon spread to the rest of the population. Nag Champa is ideal for meditation and can help to create a sacred space, but many people use it for its attractive fragrance. This incense is also popular on the music scene, with The Grateful Dead, Stevie Nicks and Bob Dylan frequently burning it at their concerts. Nag Champa is available now from just £1.49 per pack.